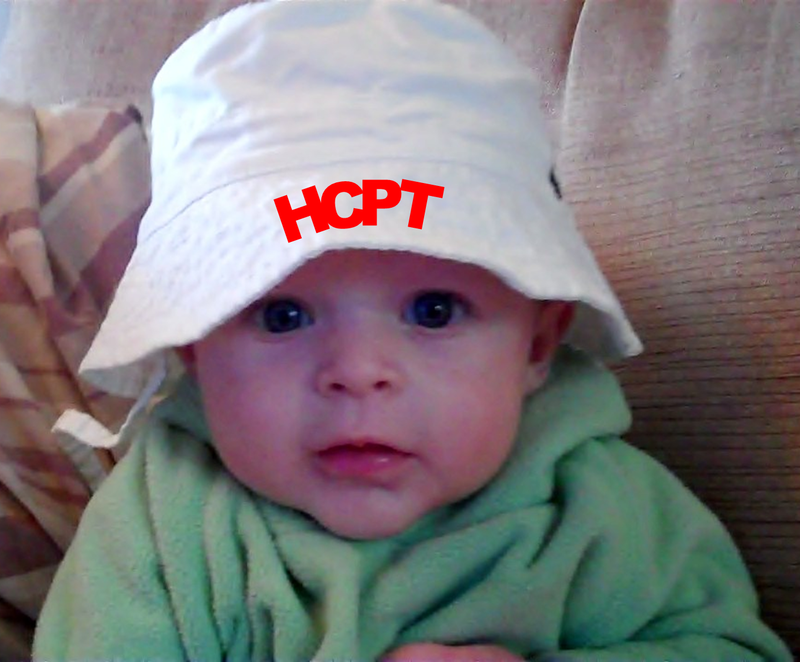 HCPT 101: Do you like my hat? Group 101's youngest member wearing his hat. He's looking forward to his first trip to Lourdes! Calling all helpers and supporters of Group 101!